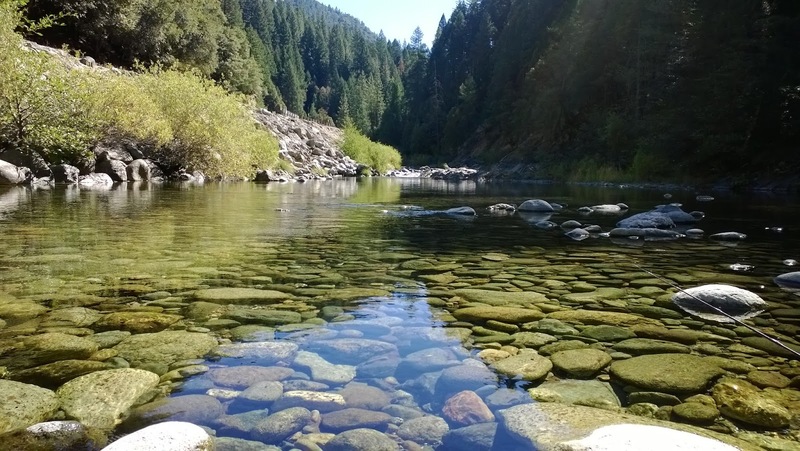 The North Fork of the Yuba River is a stream that carves its way from its headwaters down to New Bullards Bar. The NF of the Yuba is known to be full of wild rainbow trout along with a fall-run of spawning brown trout and kokanee. This was my first trip fly fishing the NFYR. The NF of the Yuba River reminds me of the Trinity. The mid-sized freestone stream runs down a canyon surrounded by tall pines. The area is very beautiful and there are a moderate number of turnouts off HWY 49 making it pretty accessible. While rubbernecking along the highway, I found that some of the better sections were only accessible through hiking which meant that the further away from the road you were, the better the fishing you would most likely find. 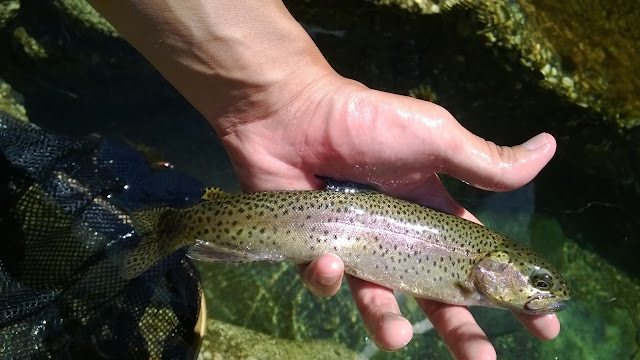 My first stop was in the Wild Trout Section between Ladies Canyon Creek and Sierra City. The water looked promising and was plenty cold. 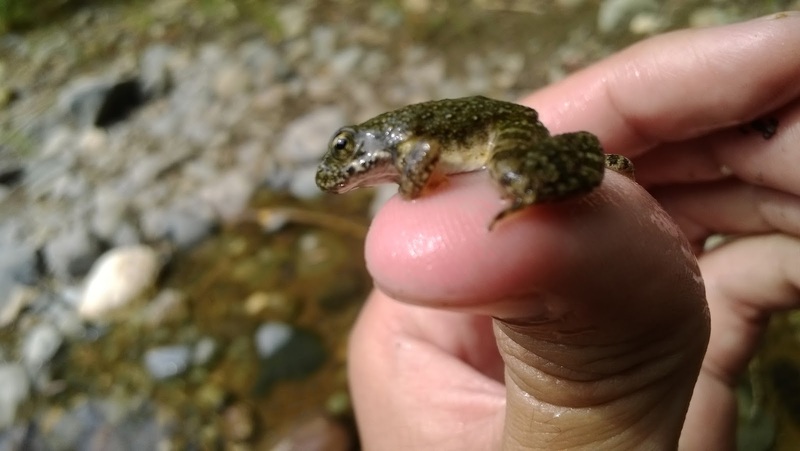 As I entered the water, I spooked several small bows that raced upstream to hide. Dry fly fishing was why I came to the NF so that's what I tried the majority of the day. As I fished, I hooked a few fish that threw the hook; nothing landed yet. The further I waded upstream the worse the fishing became. The water was VERY low and the fishing was SUPER technical; epic spring creek status in the area I was in. The water was ankle deep in about 80% of the areas I waded through and the fish were holding in very few select spots. Finding a decent pool was difficult because the water was so low. Definitely not what I was expecting. Once the sun hit the water the fishing got even worse. At one point I became frustrated of the hook throws and low water that I just left to get back to my car. As I got closer to my car, there was a pool (the only decent one I had found) where I started to throw a Hero Sculpin. I got two takes and managed to land the smaller trout I hooked. Finally a fish. Once I got back to my car I re-planned my approach. 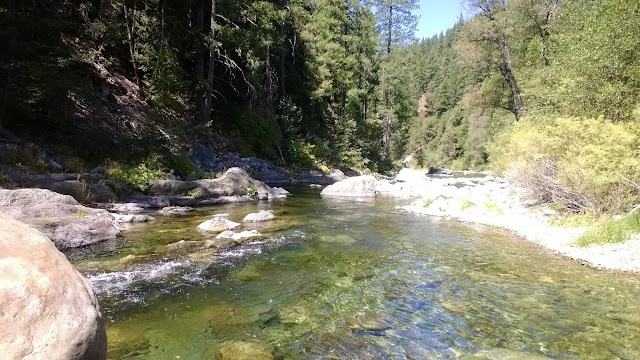 The water looked a bit nicer downstream so I fished several turnouts below Downieville and got a few takes but no lands. The water was a tad bit warmer in the areas I visited. I progressively traveled and fished downstream but I wasn't able to get any fish to take. The majority of the trout in the NFYR had most likely migrated upstream in search of cooler water. The water here was also low and warm. #droughtlife. No fish here. This visit was my first time fishing the NFYR and although I didn't catch as many fish as I was hoping to catch, it was overall a good scouting trip. The drought has reduced the stream to a creek. The flows at this time of the year are usually around 180CFS but they are currently sitting at 70CFS. Right place, wrong time. I'll have to try again in the fall or maybe further upstream past Sierra City. 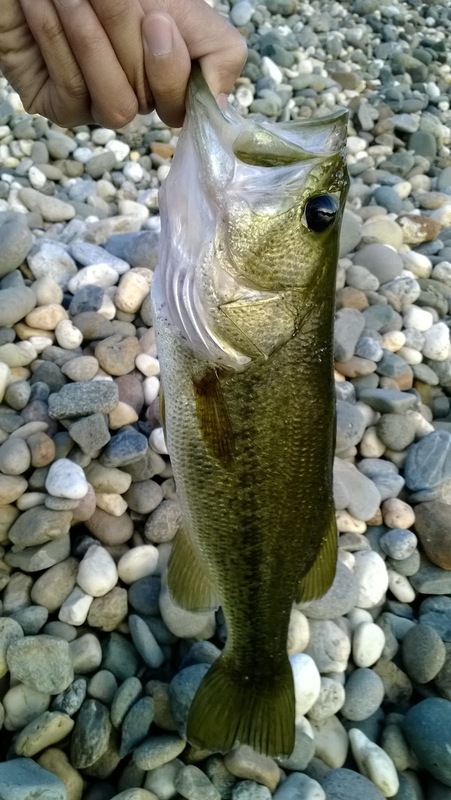 After a slow day on the NF of the Yuba, I fished the goldfield ponds and hooked a few nice bass on my 3wt. I also fished the Yuba and had two takes but no commitments. Totally made up for the slow fishing on the NF.